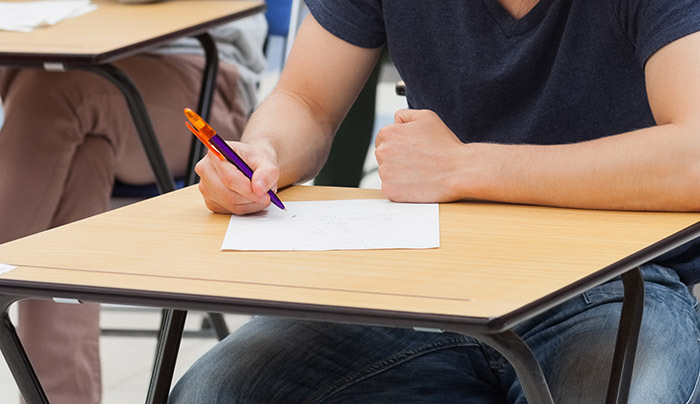 The regulator’s plans to overhaul legal education moved a step closer to reality today, after it selected education giant Kaplan to develop and deliver the new Solicitors Qualifying Examination (SQE). The Solicitors Regulation Authority (SRA) said it will now work closely with Kaplan and other stakeholders from across the legal education sector to develop and test the SQE — otherwise known as the super-exam. Kaplan has been appointed for a period of eight years from the introduction of assessment, which could be as early as September 2020. Kaplan’s tender success is a significant step forward for the regulator as it moves towards realising its super-exam dream. Last year, the SRA unveiled plans to replace the traditional routes to qualification — i.e. the Graduate Diploma in Law (GDL) and Legal Practice Course (LPC) — with the SQE. The new route will be divided into two parts (SQE1 and SQE2) and will still require wannabe solicitors to complete a training contract, albeit on a more flexible basis than previously. In March, the Legal Service Board, an independent body responsible for overseeing the regulation of lawyers across England and Wales, provisionally approved the SRA’s super-exam framework. It did, however, keep the regulator sweating: extending the time it had to reach a decision not once, but twice. Kaplan is the cleverest of them all – ditching the unprofitable LPC, trimming the fat, getting lean and hungry for the big prize. Goodbye ULaw, good luck BPP. So long as everyone stops pretending these professional exams are anything other than a mind-numbing nonsense. The more they are trimmed down and the more people learn on the job the better. What you learn on the job depends on the team and quality of people you work for. The purpose of a professional exam and qualification is to ensure that there is a gold standard that you can say has been lived up to when you obtain that qualification. It is the only way and Kaplan are respectable. I hope firms will get with the times and buy in to this. What a piece of piss – LPC has nothing on the BPTC, and the idea it is some form of standard to sort the wheat from the chaff is laughable. You’re not getting the poster above’s point, which I agree with. A training contract is only as good as the partners and associates willing to train you – a trainee in a conveyancing factory in Bradford is not going to get the same training as an MC newbie, but a couple of years down the line they could both be on the same transaction. If you can drag everyone up to a minimum standard, it makes things easier for everyone. And that will remain the case super exam or no super exam. Still, the young lawyer will learn most when they actually start working. Still, there will be great disparity in the quality of training (not that photocopying banking documents at 3am is particularly great training). They also did the BMAT in years past. The SRA board that decided to put in this stupid scheme were previously involved in the BMAT, UKCAT, and Kaplan providing prep for those exams. Haha get in! I bought some shares in Kaplan before the news hit. Time to sell up and buy myself a second lambergini. I’ll see you suckers waiting at the bus stop when I drive by, you student lowlifes. What a ridiculous thing to say. You owe a lot to education. In 1992, the abolition of The Law Society’s Final Examination saw the opening of the floodgates to mediocrity in the profession. Until then only intelligent people could qualify. Pass rate was usually 70-75%. Then came the joke LPC. 97% pass rate the first year of it’s existence opened the floodgates. A girl I shared a house with at The College of Law in 1992 failed every exam. Not a problem, she got a distinction the following year in the good old LPC. Now the profession is littered with numbskulls. Maybe the extra year of study was the reason she did so well second time round? Having the LPC means nothing though. I’ve never gotten a job because of my performance on the LPC, nor have I been asked about my grade. No one cares. So yes many people are passing the exams but the profession has adjusted so you are now rated on other things. My career has been boosted because I trained in a City firm in private practice. However my firm was not Slaughter and May, so doors have been closed to me also. There are people with lower academic performance on their CV than me, but having trained at Magic Circle firms, the market has greater confidence in their skill set. The focus is on other things, not how you did in Business Law and Practice or SRA Code of Conduct. So complaining that people pass the LPC means nothing to the qualified solicitor market. Law firm’s apprenticeship route is a far attractive option. Well… what can I say? Let’s see how this goes. All the best Kaplan! Having looked into SRA’s proposal as to how the SQE stages 1 and 2 will look like and the content of assessments… It’s same LPC! Just wrapped up in a new shiny package with more affordable price tag….to fill up SRA’s pocket. But hey, having met so many inadequate solicitors and unprofessional barristers it’s not the route to qualification that matters or type of exams you take to qualify. It’s the experience and ability to do the JOB. Having sat the QLTS with Kaplan, which included such “rigorous assessments” as sitting a multiple choice test in a dilapidated DVLA training center in Reading, I can only imagine how bad the ” very strong competition” must have been. The QLTS is a joke, and if this super exam is anything like it, I worry for the profession. “How will the SQE work? Meet the SRA’s character and suitability requirements. That’s it – no law degree, no GDL, no LPC, and no training contract! The SRA will appoint a single assessor and adjudicator for the SQE in 2018. However, the regulator has stated that it expects various providers (ie law schools and the current GDL/LPC providers) to offer preparatory courses for both stages of the SQE. Those who say the LPC is a joke need to think again or do the actual LPC. It’s an intense, dense and stressful course which makes you do over 14 exams in one year. You’re learning so much in so little time. A lot of people from Oxbridge failed some exams in my year, so please think before you speak.